Is this you every day when you are asked what’s for dinner? Imagine KNOWING you’ve got everything you need, right in your own kitchen, to prepare a quick and healthy dinner to enjoy with your family. And you can do this every night of the week! Does that sound too good to be true? It’s not and I can help! 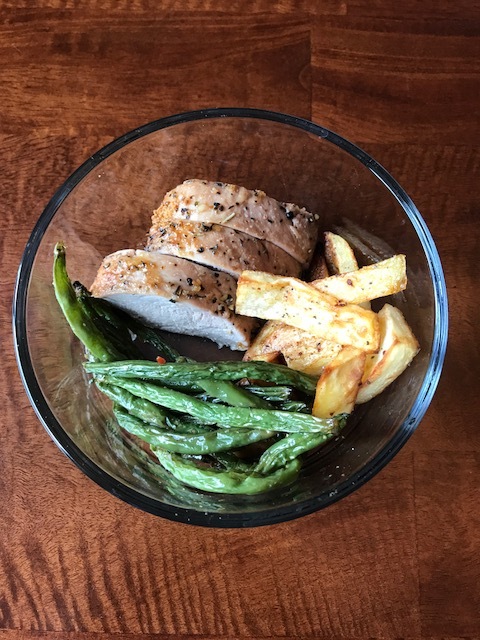 I’m going to walk you through the basics of meal planning. 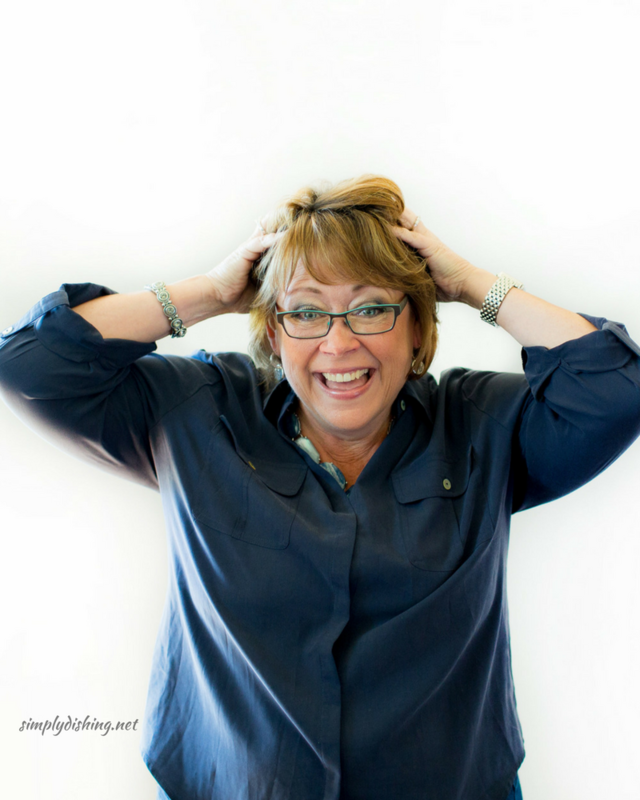 I’m going to show you how taking some time over the weekend to sit down and make a plan can save you so much time and aggravation during the busy week. Not to mention the money and calories you’ll save by not eating out. Those words from Benjamin Franklin hold true when it comes to meal planning. We have no hope of stress-free dinners if we don’t take the time to plan. Plan what you are going to cook for the week. Shop once or more and cook each night. Plan what you are going to cook for the week. Shop once and do some prep work to make it easier to cook each night. Plan what you are going to cook for the week. Shop once and prepare the meals and dish them out into servings. Some combo of the above. I do a little bit of everything and so can you. 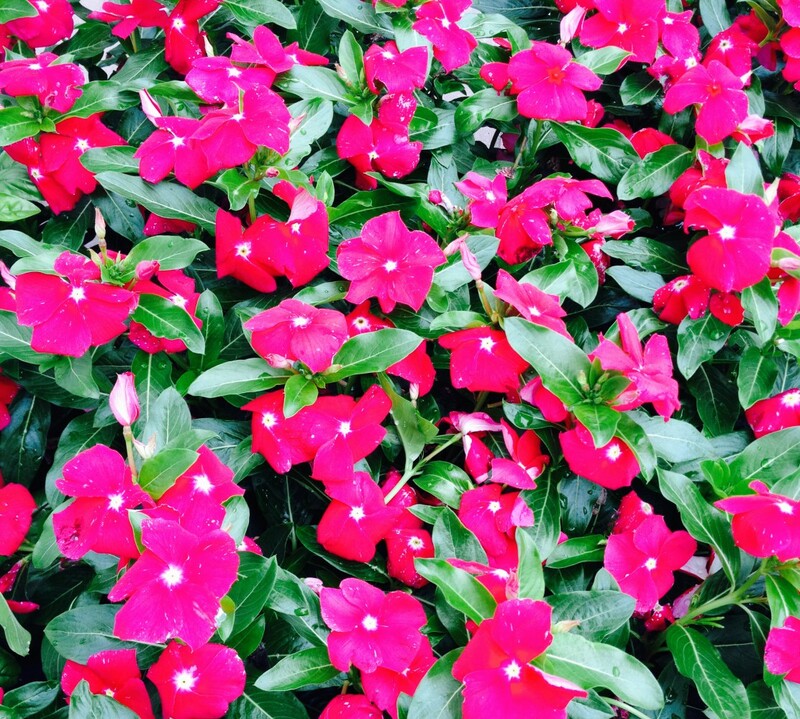 For this blog, I’m going to focus on the first one. Let’s plan what nights you want to cook, figure out what you’re going to cook, get it all in writing and execute the plan. When planning for the week I like to do one big shopping trip, then pick up some fresh items on one more trip during the week. Sometimes I like to bang out the planning, shopping and first night of cooking on the same day. On other days, that is too much to tackle. So I will plan and shop on one day, and serve leftovers or a prepped meal on that night. Then get to my weekly plan the following night. Think about what would work best for you. And what day(s) you would like to handle the tasks. Let’s start with your collection of recipes. If they are not already organized spend some time taking care of that. You can organize them in a way that works for you depending on your preference for paper or electronic. 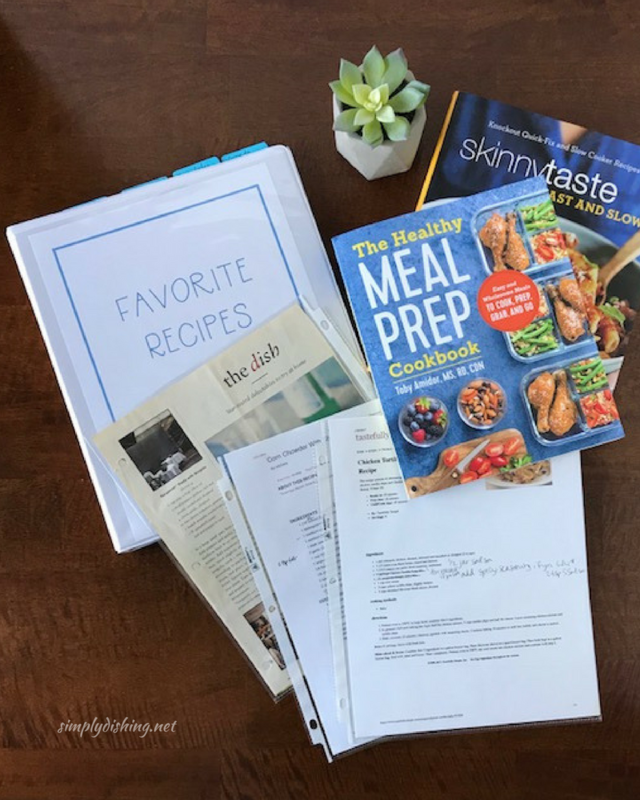 Cookbooks – use sticky notes to mark the pages of the recipes you love or want to try. Binder – this is a great place to gather the recipes you print or pull from magazines. Put them in page protectors or just 3-hole punch them to go in the binder. If you want a cute cover for your binder you can print mine out here. Here’s a great video about setting up a recipe binder by a YouTuber who has several meal planning videos I love. Pinterest board – have a meal planning board on Pinterest to pin all the recipes you see there while scrolling. Trello board – store the links to recipes you find online in a board on Trello. Folder on your computer – you can download the recipes you find and keep them in a folder or file on your computer. 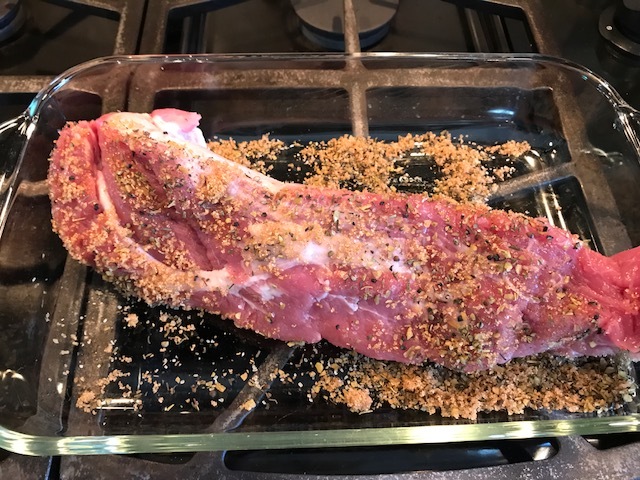 Photo album on your phone – I screenshot recipes so I have an album on my phone to store them in. 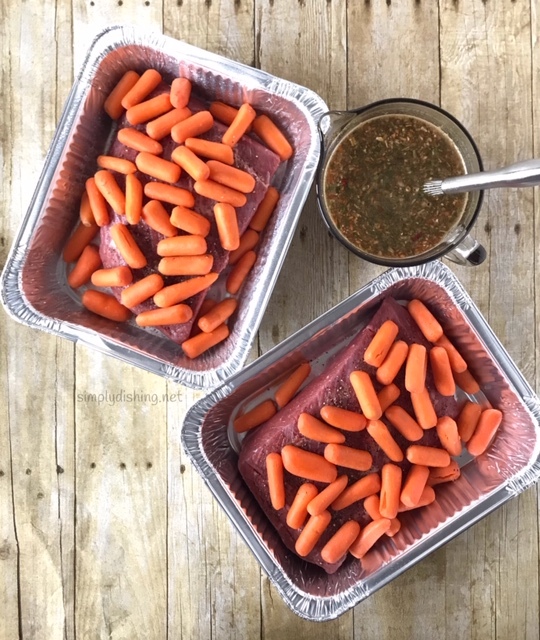 It’s easy to pull up at the grocery store to get the ingredients, and easy to pull up on the phone or iPad in the kitchen for the directions. Next, you’ll need a place to write down the meals. 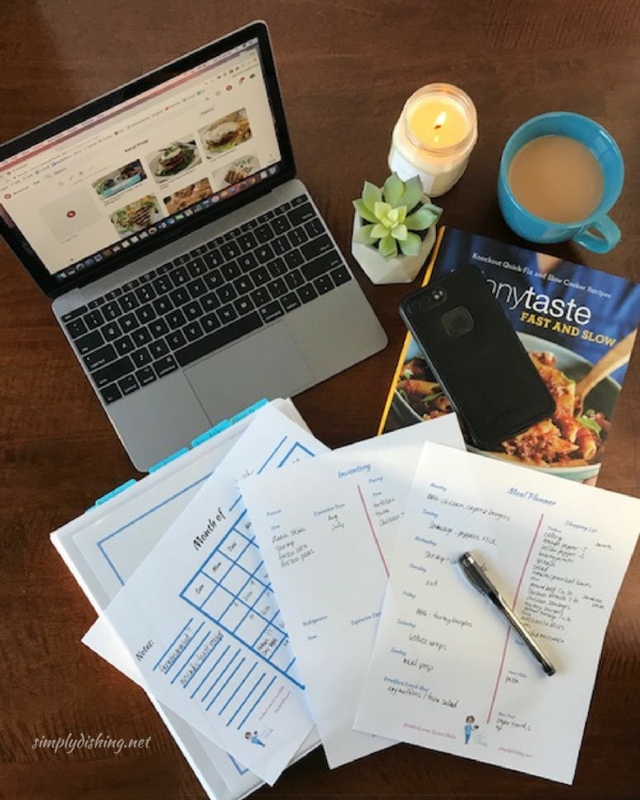 There are many creative and fun meal planners on the market. 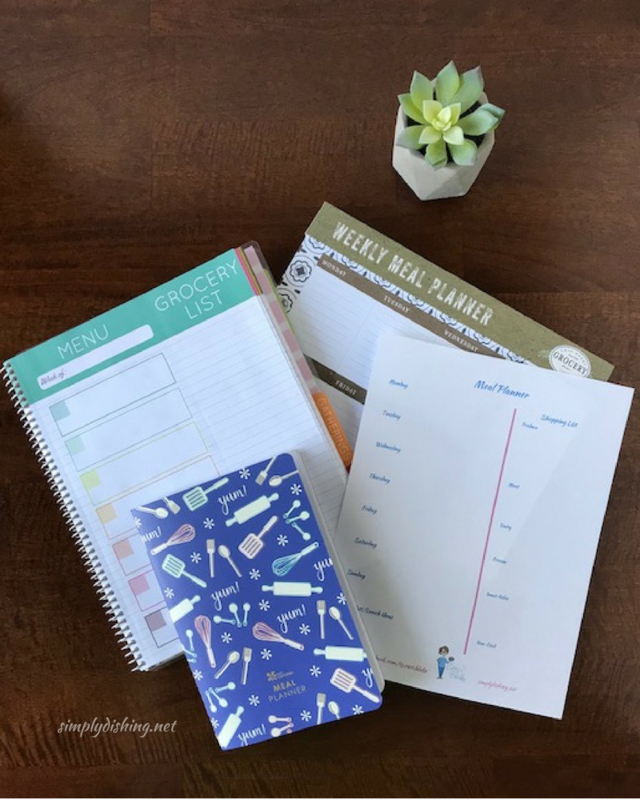 You can get a planner type book, a notebook, or magnetic notepad for your fridge. 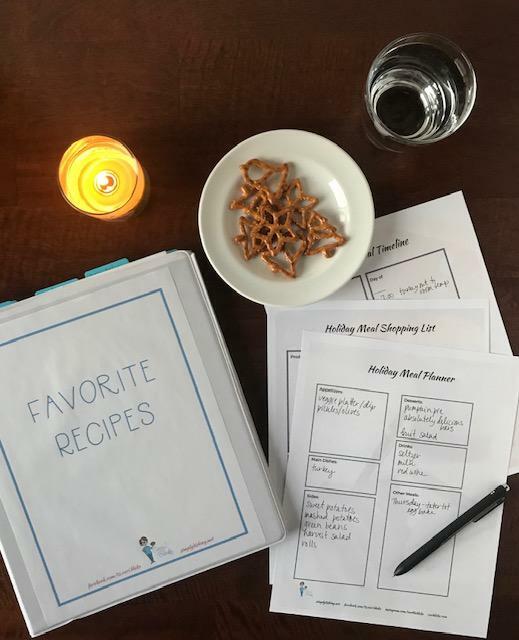 Or you can keep it simple with a notebook or my printable Meal Planner. 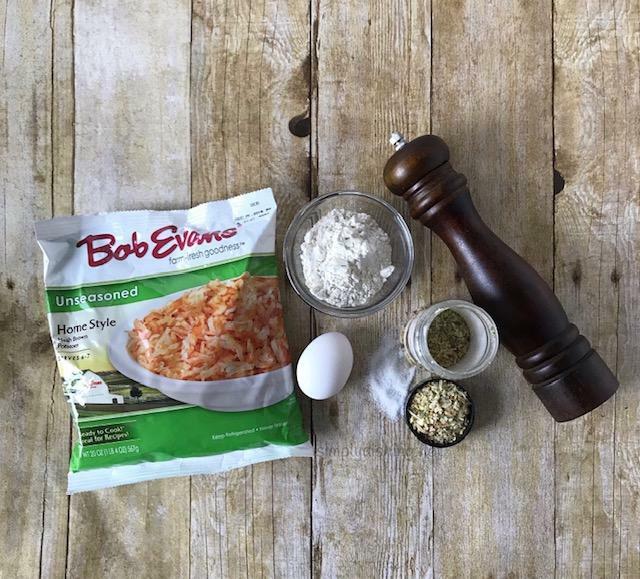 Here’s an extra step for those of you with food on hand in your freezer or pantry. If this isn’t you, just skip this step. Have a list of your “inventory.” These are the items in your pantry, fridge or freezer that you want to use up. Now is also a good opportunity to clean out your fridge, freezer, and pantry of any expired items, to make your meal planning and prepping easier. Having that list will help you figure out what to make that week. For example, I have a bag of shrimp in my freezer so I put shrimp and corn chowder on the menu for this week. 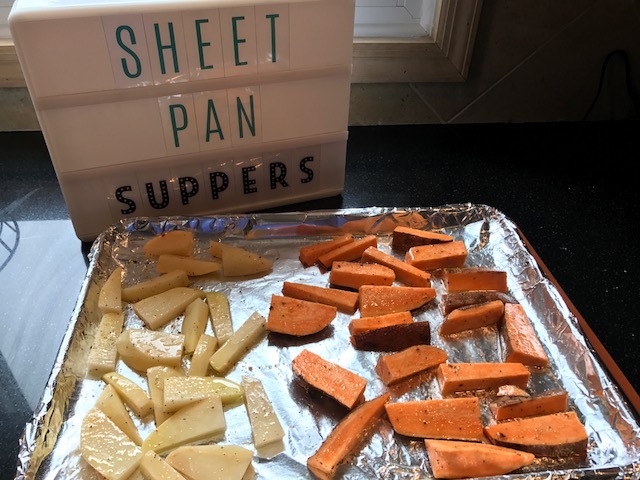 Some meal planners have a space for inventory or you can use my Inventory printable. Back to the planning, I plan for a week of dinners at a time. 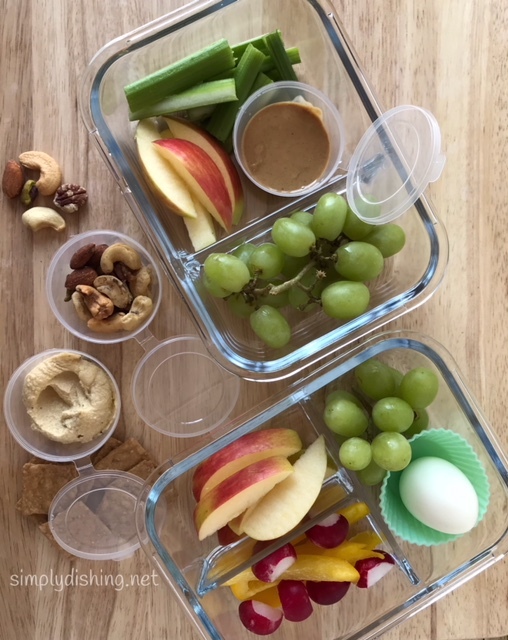 I will often include lunch/snack ideas with my planning. Check out my Bento Box blog for easy ideas. If you want to go all in on meal planning you may want to plan a month at a time. This helps you get more variety or routines in your planning. Maybe you want to try Meatless Mondays or Taco Tuesdays. Or maybe you want to keep track of how many times you make chicken or use red meat. Check out my Calendar Page printable if you want to give it a try. Here’s another YouTuber I love to watch who has plenty of meal planning tips and tricks. This video talks about monthly meal planning. 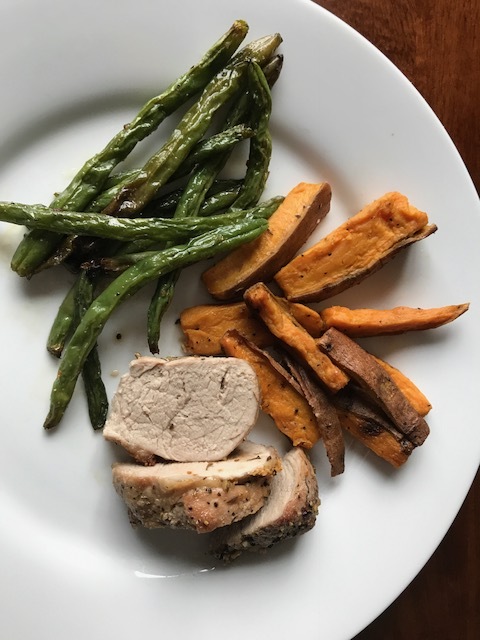 Schedule a time in the week to create a meal plan. In the beginning this will take you some time, but will get easier the more often you do it. Gather your supplies. You’ll need your recipes, inventory list, meal planner, shopping list and your phone or computer if you are using them. You can set the mood with a candle and your favorite beverage. Make it an enjoyable part of your week so you’ll want to do it! Choose the recipes for the number of nights you will be cooking dinners. Write down the recipe names on the night you plan on cooking them. Choose the recipes for fish early in the week to make sure they are fresh. Meats can stay fresh longer in your refrigerator. Check out this resource for how long food lasts in the fridge and freezer. Choose slow cooker recipes for days when you need dinner on the table quickly, or you’ll have people eating in stages. You can keep dinner in the slow cooker on warm to accommodate the late night diners. Choose double-duty recipes for nights you have more time. 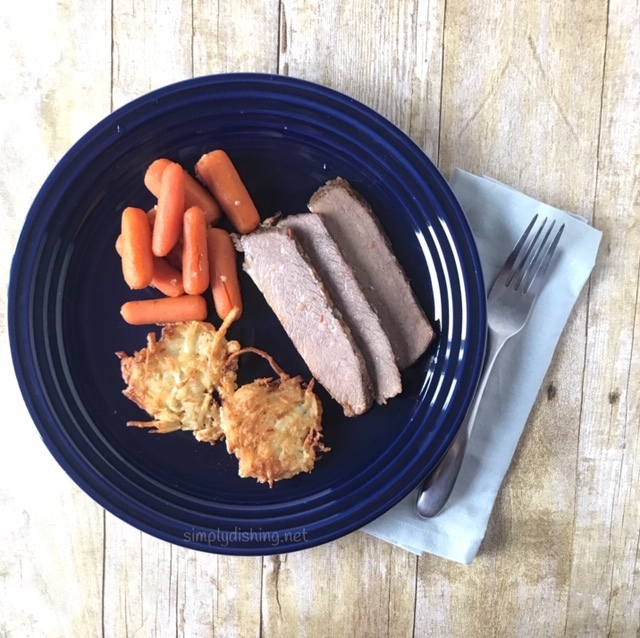 If you are making a meatloaf or grilling some chicken, make a double batch to get another meal or leftovers. Look at you! You’re already starting to meal prep! Once you’ve got the recipes down, fill in the shopping list. If you are doing a second shopping trip in the week, make that list also. I use a sticky note on my meal planner to jot down what I will buy later in the week. There you have it. You are all ready to meal plan! Thank you for reading. What do you think? 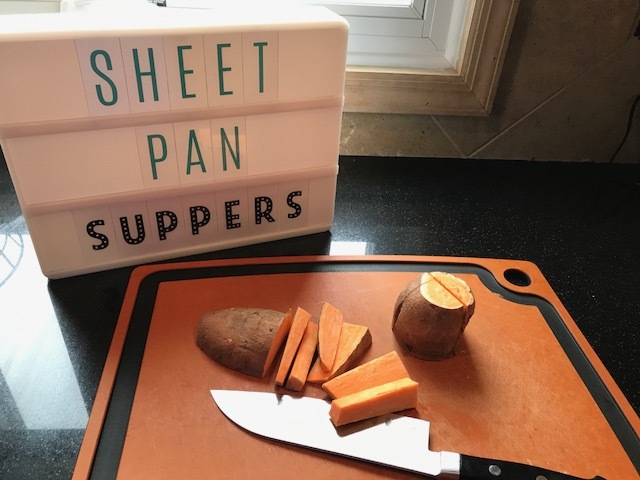 Are you going to give meal planning a try? Please let me know in the comments below. I’d be happy to answer any questions you have. Coming soon – Cook on Sunday to Eat All Week. Stay tuned for my meal PREPPING blog! Come hang out with me on Facebook. 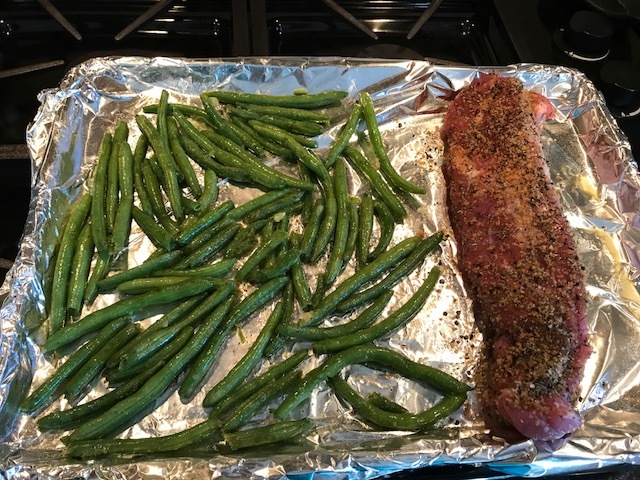 I share what I cook for dinner there as well as my meal planning and prepping. I became obsessed with the bento-type protein box at a popular coffee spot. I liked that I got some protein, could eat it on the go with no utensils. 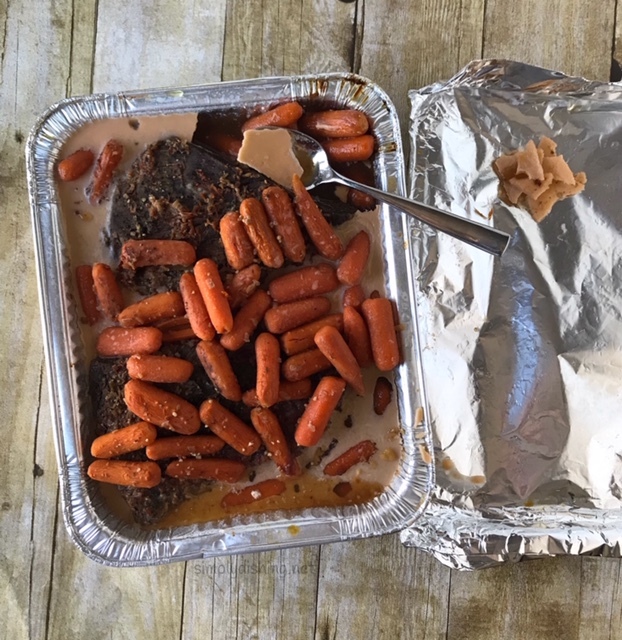 I could eat at my desk, in the car or even at the park when I stepped out of the home office. Because I wanted more variety and to save some money, I started making my own. I am happy to share some ideas with you. Get some storage containers. (I’ll share mine below.) Start with adding your proteins to the box and then finish the box with veggies, fruit and carbs (if you eat them). 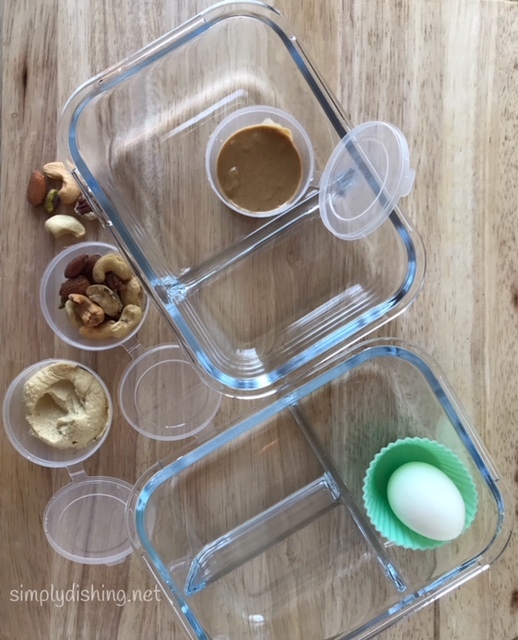 When making for a snack – 1 or 2 proteins would be good, use more if making a lunch. Customize these to meet your needs. 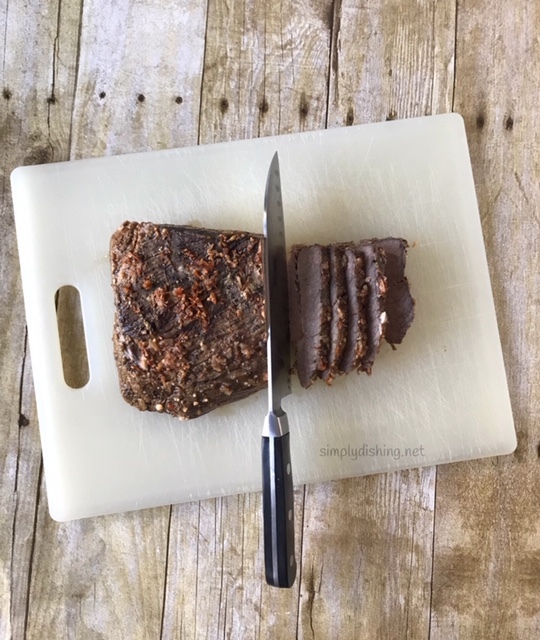 You can do gluten free, nut free, dairy free, etc. Mix and match to pack what each family member likes. Add fruits, veggies and more. In my free printable I share ideas for proteins, grains, fruits and veggies. All meet my criteria for no utensils needed and are easy to eat on the go. Print this out, choose your ingredients and fill in the shopping list at the bottom to get started creating your own boxes. A quick tip for the apples: soak your apple slices in a bowl of cold water and the juice of half a lemon for 10 minutes. Pat dry with paper towels and add to your boxes. This will keep them from browning for a few days. Grab your printable here. Let me know what you think! There’s still time to make some easy, homemade treats to bring to a celebration or give as a gift. 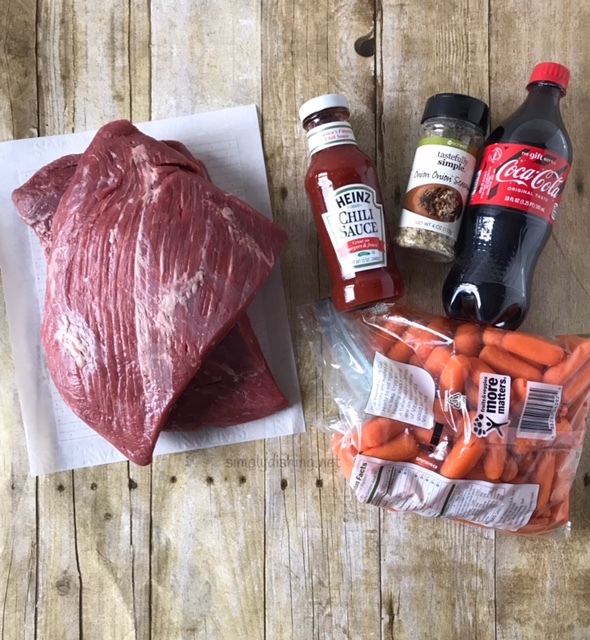 I’ve been down with that nasty cold going around but I still wanted to bring something homemade for Christmas so I pulled out my easiest recipes. My last minute cookie platter. First up are the Hershey’s Hugs Pretzel Treats. There are many recipes online, but here are the basics: Preheat the oven to 200. 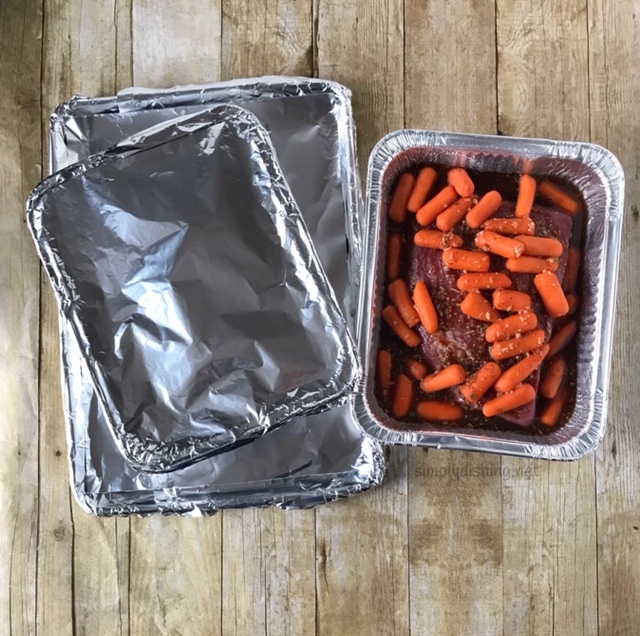 Line a baking sheet with foil or parchment paper. Place square pretzels on the sheet and placed an unwrapped Hershey’s Hugs on each each pretzel. Bake for 4-5 minutes until the chocolate gets soft. Remove from the oven and immediately press an M&M onto each Hug, pressing gently to flatten the chocolate. Place the sheet somewhere cool, or in the refrigerator, for about 20 minutes until the chocolate sets. My garage was cool enough today to store these batches so I didn’t have to make fridge space. This recipe also works nicely with Rolo candy in place of the Hugs. Before baking. The hardest part of the recipe is to unwrap all the candy! Next up is a Tastefully Simple recipe I’ve been making for a while. Check it out here. 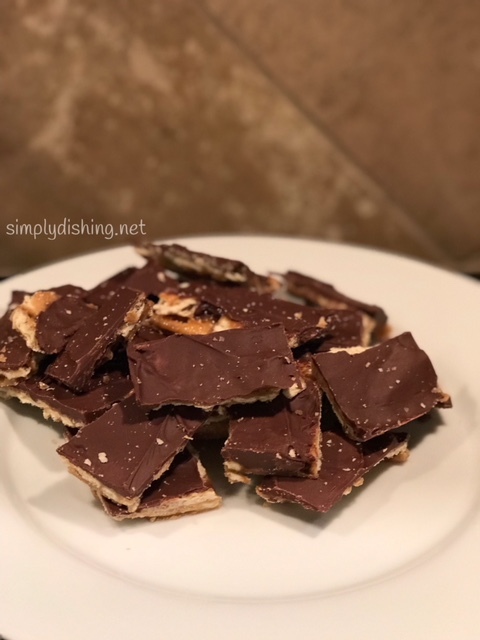 You can make them on the same pretzel squares used in the previous recipe for a sweet and salty version. 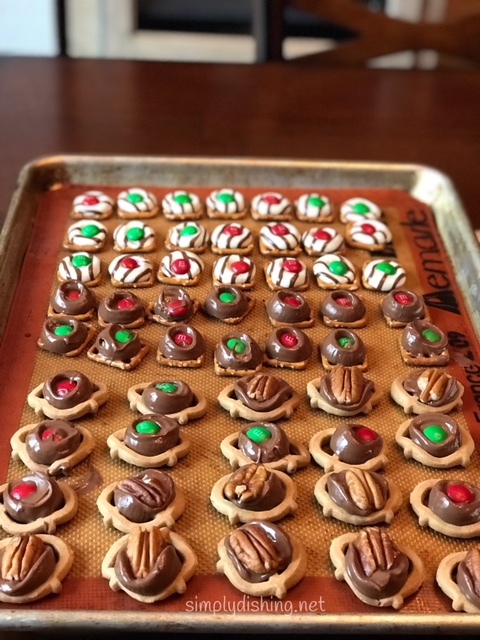 I make some with pecans and then a batch with M&Ms in place of the nuts for those in the family who are nut free. The turtle name comes from the candy featuring pecans, caramel and chocolate. 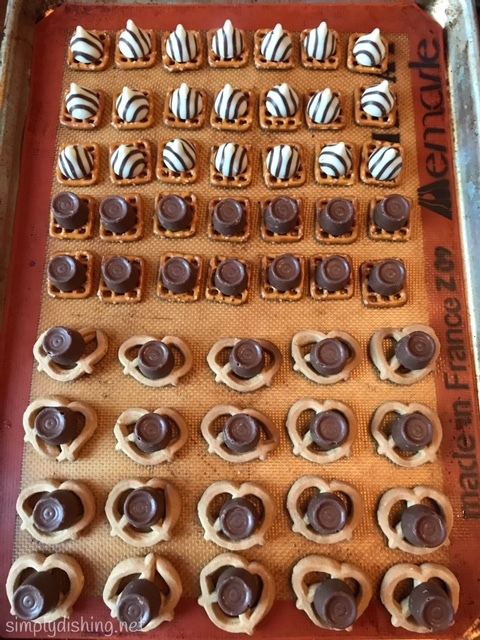 My finished combo – some on pretzels, some on cookies. Some with Hugs, some with Rolos. Some with nuts, some with M&Ms. I baked the sheet at 250 for 4 minutes. Finally, I dug out my favorite Passover dessert recipe to make for Christmas. I found the recipe on Pinterest years ago. You can check it out here. Although you are making your own caramel for this recipe don’t worry! It’s easy. I used saltine crackers in place of the matzah. And I skipped the step with the nuts and salt. I put green and red sprinkles on some of the batch to make it festive for my holiday cookie platter. Thank you for reading. 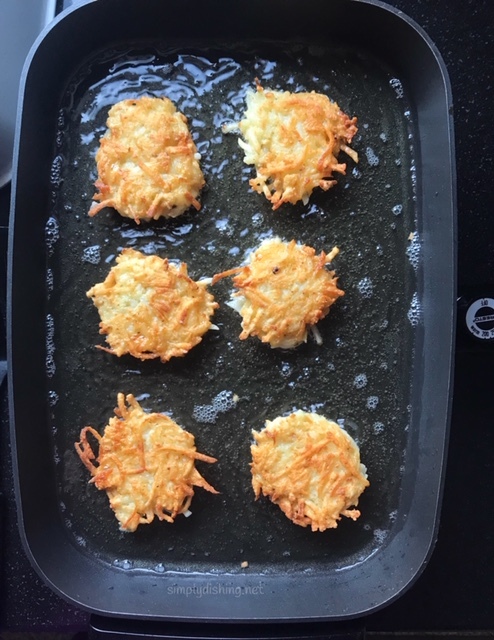 I hope you enjoyed these recipe ideas! 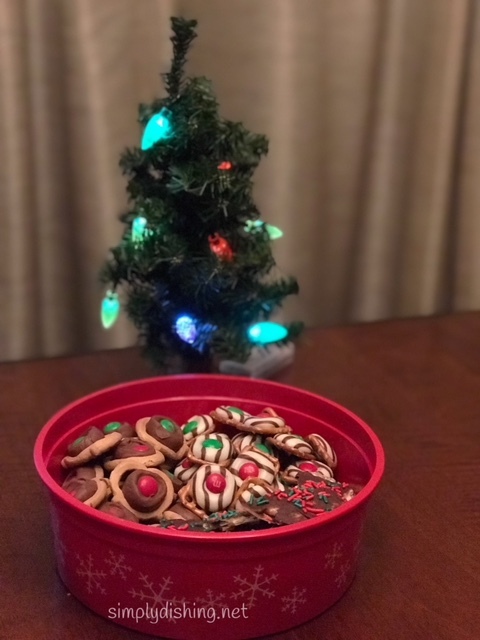 Please comment if you have your own easy holiday dessert. Merry Christmas to all who are celebrating! The recycling bin is full, the beds are stripped. I have a mountain of towels to launder. Welcome to the day after a holiday weekend with a house full of kids and family! We had a truly great weekend. Family, fun, food, games, walks, yoga, even a visiting dog as we are missing our diva dog who died in August. We really crammed a lot into those few days. And now it’s the morning after. The house is quiet which is both nice and sad. 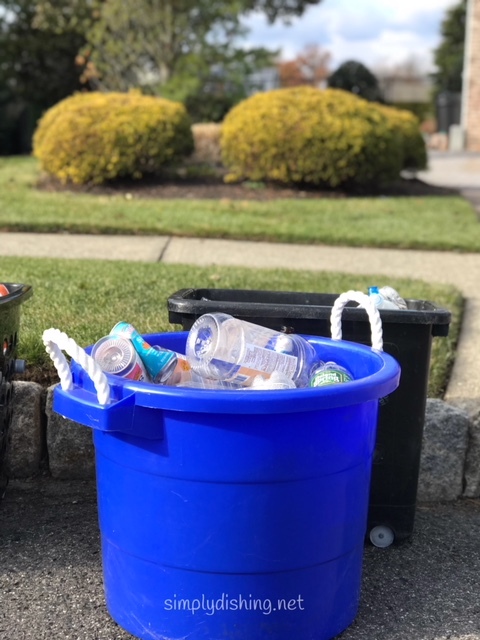 It’s nice to be done with the list making, shopping and cooking that it took to get ready for the holiday weekend when we went from a house of 3 to a house of 9. It’s nice to have a quiet mind with nothing much on the to do list for today. It’s nice having some leftovers in the fridge so I don’t have to cook at all today (and maybe even tomorrow). Then the sadness comes because I miss them. I miss my sister and her kids. I wished we lived closer. I miss my kids and being part of their every day life and I miss them being part of mine. My youngest is a senior in college with dreams of heading to California after graduation. My middle moved across the country in August. As I moved through the day putting away the decorations, loading the washing machine, listening to the quiet – the anxious thoughts crept in. Did I spend enough time with each of them? Did we have good, quality conversations or was I distracted with cooking and cleaning and planning the perfect weekend? Do they like coming home or is it just something on their to do list? Will they always like coming back here? 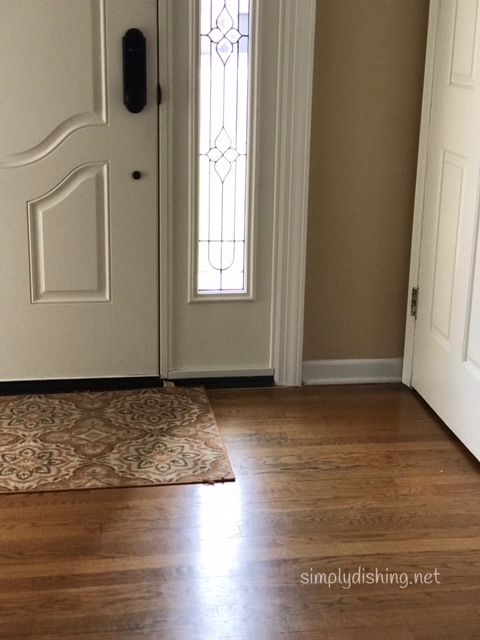 As I passed by the clean entry way I felt it again. Most of the weekend that corner was crowded with shoes, bags, stuff. It’s nice that my house is neat and yet sad that there is so little action here. Can you relate? How do you handle a Holiday Hangover? I hope you had a good weekend with some people you love!